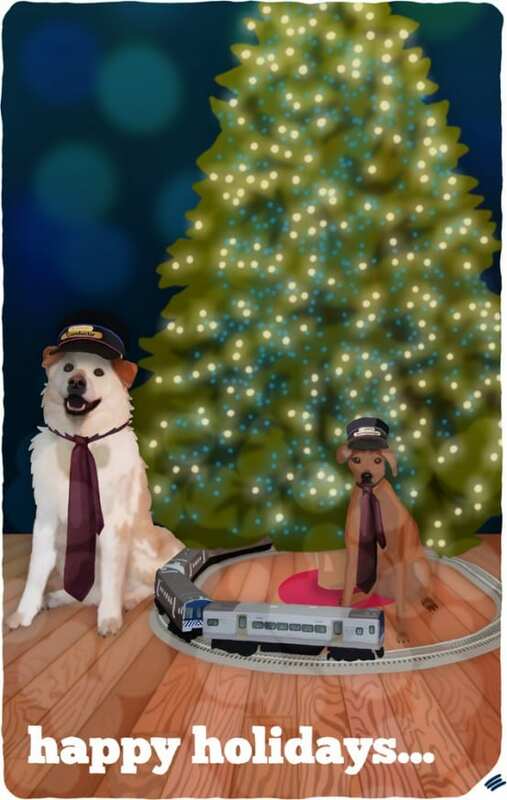 Happy Holidays from Conductor Dog and IRideTheHarlemLine.com! If you didn’t get this year’s holiday card in the mail, here it is! Conductor Dog wishes you a very happy holiday and new year… and would love it if you happen to have any treats. He is eagerly awaiting his debut as Metro North’s mascot, with an appearance in Mileposts. Hey, a dog can dream, right? Emily, I love my card! Thank you so much! And thanks again for donating to my Empire State Building Stair Climb! !